Click here to access a table of all funding applications received. Review each application and please add you name and any brief comments in the “Notes / Comments” field at the bottom of each application page. Click here to upload a new file or view files already uploaded. The application deadline for 2019 grants has now passed. Please help us fund more groups in 2019 by making a donation. 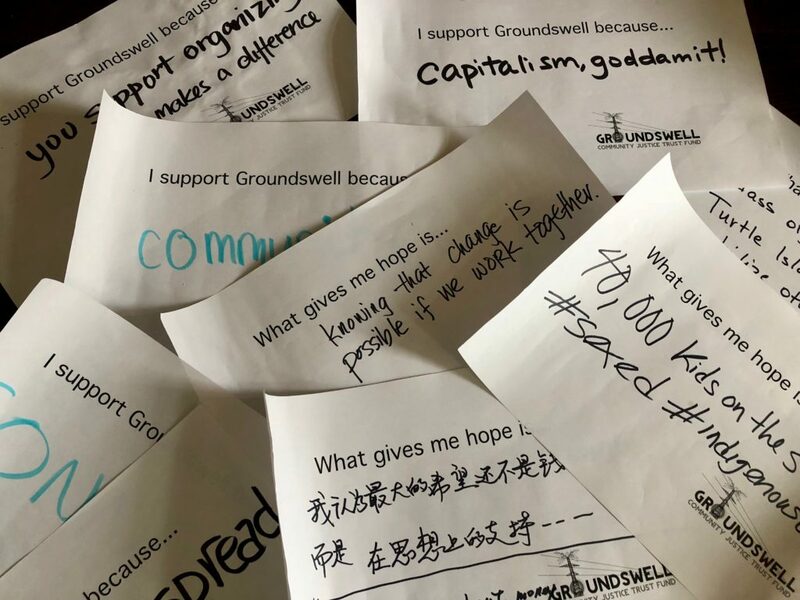 A funding organization based in Toronto, Ontario, Groundswell raises money for organizations and projects dedicated to social justice. Many groups face serious constraints when trying to fund political work that directly confronts power imbalances and systemic injustice. Our goal is to build a growing network of people who are willing to donate money to fund this important work. 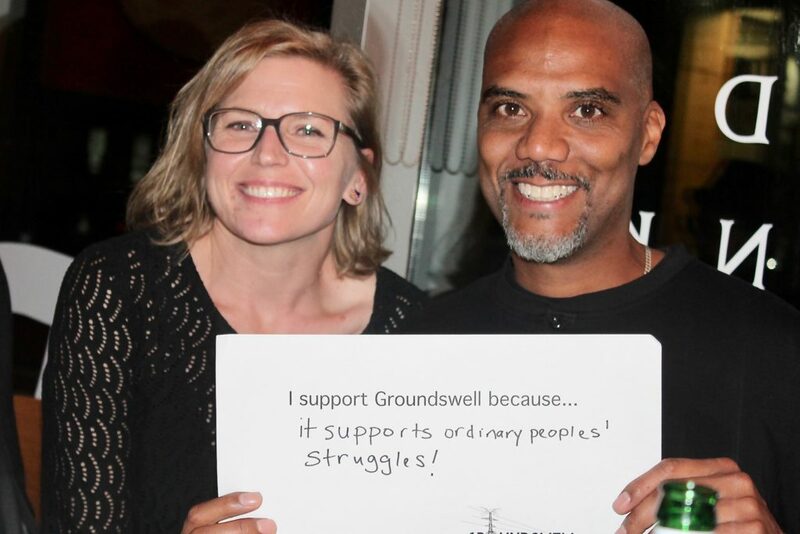 Groundswell is volunteer-run and is not a charity. Learn about our goals and philosophy. 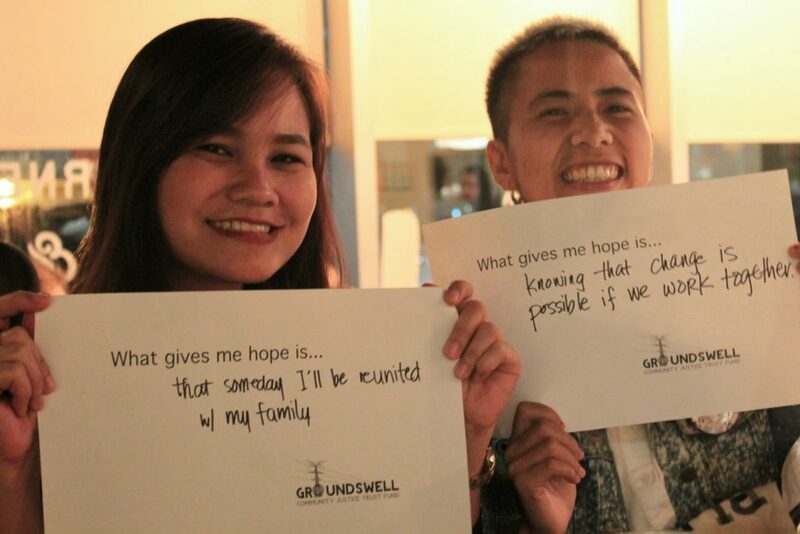 Please make a donation to Groundswell! Your money has the potential to fund both existing and new organizations and projects, build infrastructure for long-term organizing, and create new ways to discuss and disseminate political ideas. Let's harness our collective resources to support social change.